With just two months to go before the US presidential election, the state of the economy is far and away the biggest concern for most US voters. The credit crunch has inflicted severe damage on Wall Street, left millions at risk of losing their homes, and millions more in negative equity. 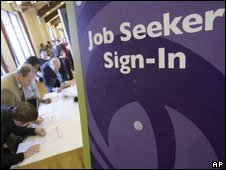 Unemployment has risen above 6% while high petrol prices and rising inflation have squeezed household budgets to the limit. Things are unlikely to get any better soon. 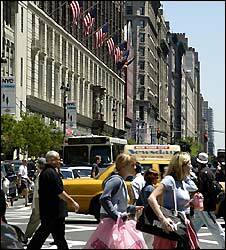 Most economic forecasts suggest that the economy will slow sharply in the rest of 2008. The first official figures will be published in late October – on the very eve of the election. This is the background for a battle over economic policy that has so far been dominated by two issues – energy prices and taxes.Senator McCain made headlines by calling for a temporary suspension of federal gasoline taxes over the summer. He favors a major expansion of nuclear power and further drilling for oil on the US continental shelf. 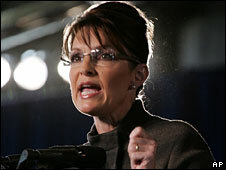 His running mate Sarah Palin, meanwhile, is a strong advocate of further development of Alaskan oil and gas reserves. Mr Obama has called Mr McCain’s proposals “the same old gimmicks” though he has recently softened his outright opposition to drilling. His energy plan calls for a big effort to shift the US towards cleaner energy, a windfall tax on oil companies, and a $50bn government investment plan to promote “energy independence”. To boost the economy, Senator Obama and many Democrats in Congress would like another stimulus package, worth around $50bn – following on from the $168bn package already put into effect – and more aid to help people at risk of foreclosure to stay in their homes. But the growing size of the government’s budget deficit, which is expected to more than double to $400bn next year, limits the scope for further action of this kind. It’s the size of that deficit that has put taxes at the heart of the economic debate between the two candidates. Mr Obama wants to repeal the “tax cuts for the rich” of the Bush administration, and use the money to give further tax breaks to the “middle class” (all taxpayers earning less than $250,000), including special tax relief for college education. He also has ambitious plans to use the tax system to boost jobs, provide subsidies for healthcare, and help redistribute income to the working poor. Senator McCain, however, reversing his earlier position, wants to keep the Bush tax cuts, which he argues will help small businessmen and lead to more job creation, while balancing the federal budget by eliminating wasteful spending.He has attacked “earmarks”, the system of “pork-barrel” politics where individual Congressmen and Senators get extra spending projects for their districts by attaching riders to important bills. The most infamous of these pork-barrel projects was the $400m “bridge to nowhere” – which would have linked the 7,000 people in Ketchikan , Alaska, with their airport on Gravina island, replacing a three-minute ferry ride – promoted by the now-disgraced Alaska Republican Senator Ted Stevens. It was Sarah Palin’s role as governor of Alaska in ultimately blocking this project which first brought her to the attention of Senator McCain. But earmarks make up only $50bn of the $2,000bn Federal budget, according to the Congressional Research Service, and two-thirds of them relate to military spending or foreign aid, which Mr McCain has pledged to preserve. The ability of both candidates to project bold economic policy initiatives has been limited by disagreement within their own camps. Mr Obama’s economic instincts appear to lie with the moderate wing of the Democratic party, to judge from his appointment of Jason Furman, a close associate of former US Treasury Secretary Robert Rubin as his economic advisor.These “Rubin” Democrats persuaded the last Democratic president, Bill Clinton, that balancing the budget was more important for long-term economic growth than new spending programs. 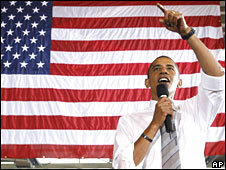 Senator Obama has emphasized “nudge” economics, where the government tries to encourage individuals to take out private pensions and healthcare, rather than big new government programs. But he faces pressure from the Democratic base, which is expecting him to tackle the lack of healthcare coverage for one in six Americans, and from the unions, which want him to do more to protect American jobs from “unfair” foreign competition. Expanding health coverage to all children, as he has proposed, could cost at least $100bn a year. And his support for renegotiating trade talks to include clauses recognising workers’ rights has worried businessmen. Senator McCain, meanwhile, also has to appease two conflicting constituencies. Many traditional Republicans share Mr McCain’s original beliefs in small government, low taxes and a balanced budget – as, mostly, does Wall Street, the US financial centre. However, the Republican Party in power increased spending, especially on defence, while cutting taxes, leading to growing deficits. Mr McCain backs higher defense spending, and in recent months he has increasingly leaned to the “supply-siders”, Republicans who believe that tax cuts are more important than balancing budgets – a view many small businessmen on Main Street, struggling in the economic downturn, would endorse. Both parties are also divided on how far the government should go in bailing out homeowners and banks who are the victims of the credit crunch. Many Main Street Republicans are outraged by the idea that people who undertook irresponsible home loans, when they knew they could not afford them, should be bailed out – a view Mr McCain sometimes reflects. And many left-leaning Democrats believe that the big banks and their shareholders who irresponsibly promoted sub-prime lending should be allowed to fail, rather than being bailed out by the US Treasury – as happened with Wall Street investment bank Bear Stearns and now the government-sponsored giant mortgage lenders Fannie Mae and Freddie Mac. The policy solutions so far put forward to ease the credit crunch have been agreed on a bipartisan basis between Congress and the Bush administration. WHO DO YOU TRUST MORE TO HANDLE THE ECONOMY? But voters have consistently expressed more confidence in the Democrats’ ability to handle the economy than the Republicans’ – so it’s a puzzle why this has not translated into a decisive poll lead for Senator Obama. This may be because the battle is really over perception – which candidate has more empathy for the economic plight of ordinary Americans. 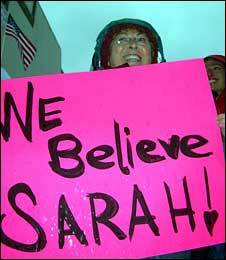 The choice of Sarah Palin as Mr McCain’s vice-presidential candidate was partly an attempt to put an “ordinary hockey mom” at the heart of his campaign. Senator Obama, for his part, devoted much of his speech at the Democratic convention to the difficulties faced by hard-working Americans – perhaps hoping to banish the memory of his comments in March about “bitter” small-townspeople. 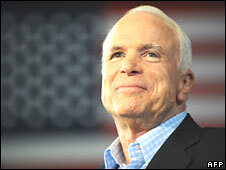 “It’s not because John McCain doesn’t care – it’s because John McCain doesn’t get it,” he said. If Americans are persuaded that one candidate both understands their problems and can fix them, that could be the key to an election victory. So far there is still everything to play for.